See all the available Electronics World articles. In view of all this, it is not surprising that meteorologists continually searching for new tools to aid them in understanding the weather. With increased knowledge of weather comes the ability to predict the kind of weather a region will experience. President Johnson, when Vice-President and Chairman of the National Aeronautics and Space Council, estimated the saving which our nation could realize if accurate weather predictions were available only five days in advance. These yearly savings include: $2.5 billion in agriculture; $45 million in the lumber industry; $100 million in surface transportation; $75 million in retail marketing; and $4 billion in water resources management. Beyond these dollar savings, we have the priceless savings in human life which result when hurricanes, tidal waves, and the like are detected in advance. Clearly, then, research into the nature of weather will have a profound effect upon our welfare. 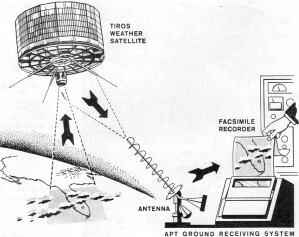 The Tiros (Television Infra-Red Observation Satellite) series provides a partial solution to this requirement. These vehicles, equipped with television cameras and infrared (IR) radiometers, gather data for analysis by meteorologists within hours after the observation. The first in the series, Tiros I, was launched from Cape Kennedy on April 1, 1960. At this writing, ten Tiros satellites have been launched. The Tiros is an 18-sided vehicle, 22 inches high by 42 inches in diameter, weighing about 300 pounds. Each of the 18 faces of the satellite is an array of solar cells. These 900 solar cells furnish charging current for the 63 nickel-cadmium cells which furnish power throughout orbit. Two 18·inch receiving antennas extend from the top of the satellite and are used to receive ground commands. 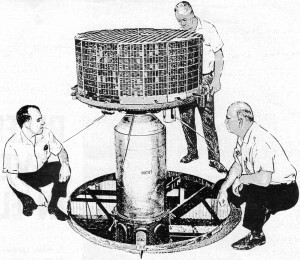 Four 22-inch telemetry transmitting antennas are located on the underside of the package. 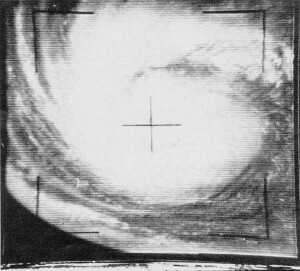 Tiros I through VIII had two vidicon TV cameras mounted on the underside of the satellite. 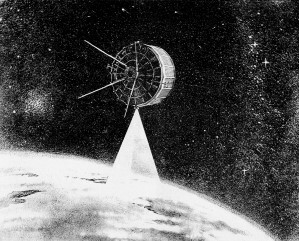 Later Tiros spacecraft have side-looking TV cameras mounted on opposite sides. on the tube face and converted to data bits for storage on magnetic tape or direct readout by ground stations. Each orbit results in 64 pictures, or 32 pictures per tape. 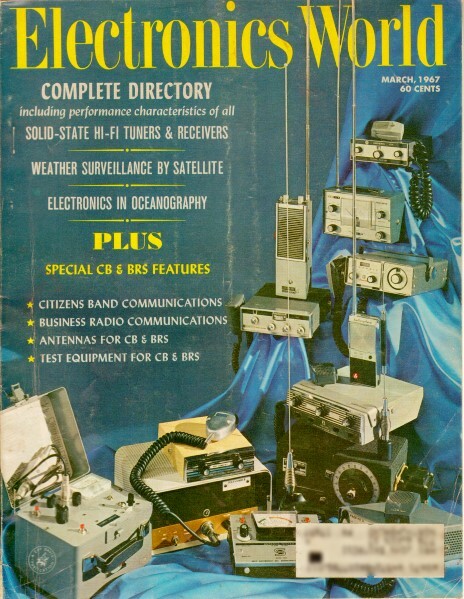 Transmission of data to the ground station requires about three minutes. The data transmission simultaneously erases the magnetic tapes for the next data-gathering pass. The operation of the readout system as well as the timing of the picture-taking sequence is accomplished by ground command. 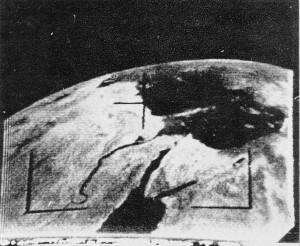 The ground command sets timers which activate the camera system when the satellite passes over the region of interest.